This shaving bowl is according to the path that the brand has followed, recreating the old ways of shaving. 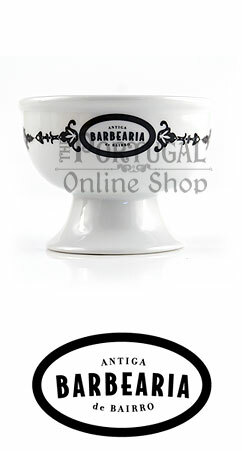 The shaving bowl is inspired by an ancient model (1870) for the shaving cream. 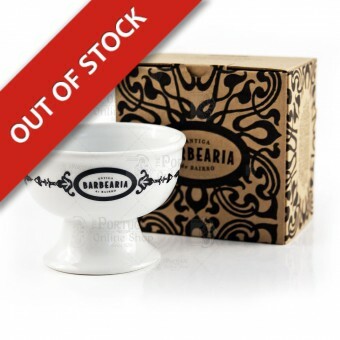 Produced in Ílhavo Portugal in Porcelanas Armindo & Gaspar Rocha, and made of fine porcelain in a traditional crafty way. 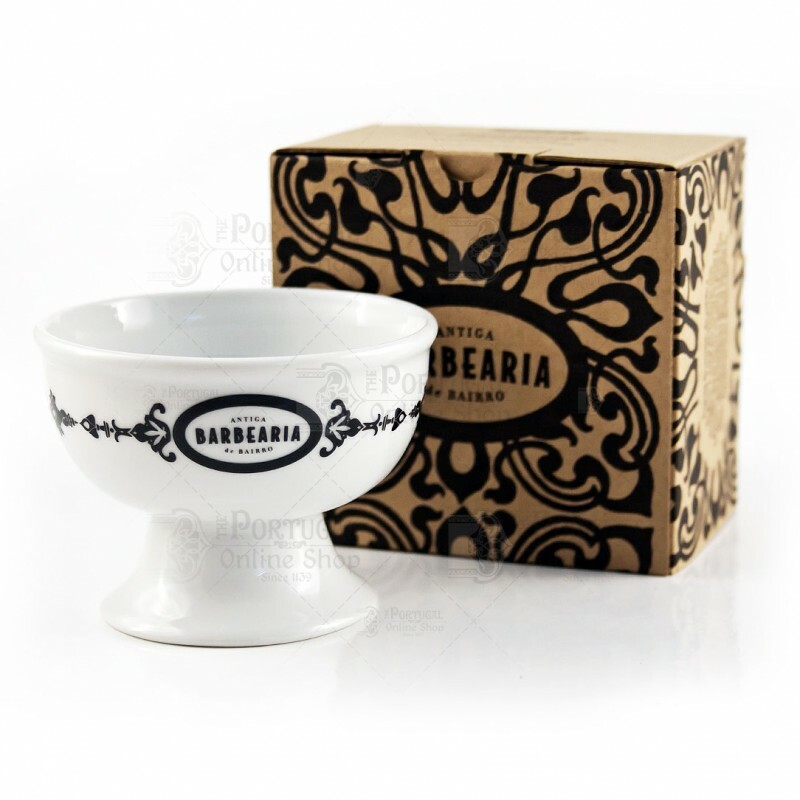 "We have created a glass, inspired by an old model (1870), which is decorated with the logo of the brand and some of our motives fits the spirit of the Antiga Barbearia do Bairro. Its size is ideal for recreating the gesture barber who uses the cup with water for wetting the brush go. The cream is placed directly on the brush and spread on the face. 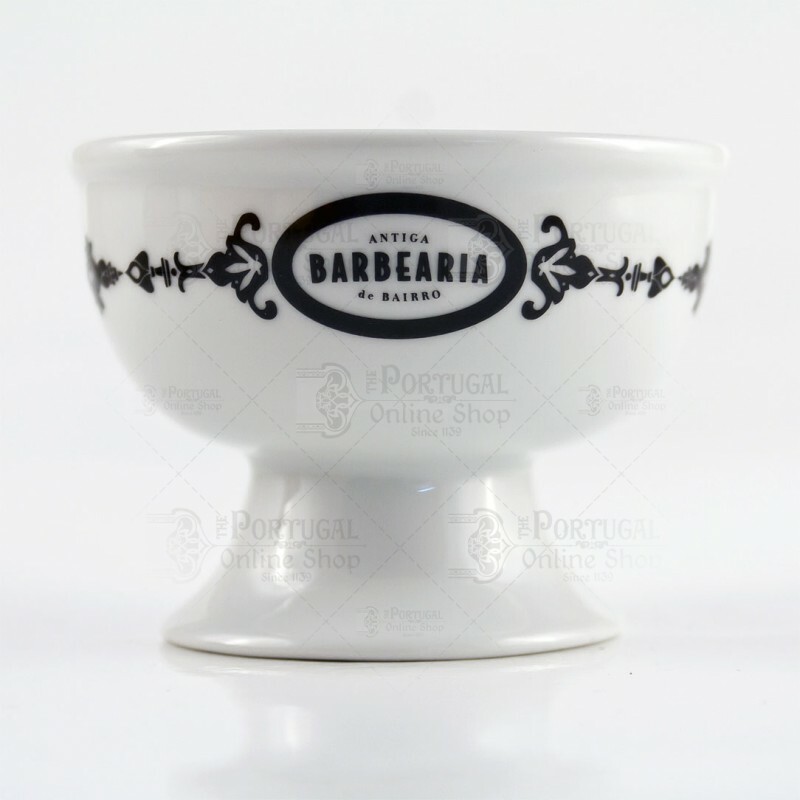 Fabricated in Ílhavo by Armindo and Gaspar Rocha, the bowl is made of fine china by traditional techniques."